This page is for sharing our customers’ feedbacks with you. If you are thinking about buying our product, please kindly check this page out. how it sounds like and many more. To our esteemed users, please kindly report us how you feel/think on our products. We are willing to hear your feedback. I have assembled your audio kit at one day since I got a free time yesterday (Sunday). The Chassis appearance design is based on Professor Kaneta’s idea. Please see above two pictures how it looks like. It is so good to listen to the ES9018 DAC Circuitboard sounds. , which I had listened with before. The sound has almost no high-frequency noises. And it is more close to the analog sound, which has smooth clear sound contour with good expressive power. It enables me to realize how just even one piano note changes the sound during the course of its life. The sound is obviously the sound with high resolution. but the board has a clear printed indication at one side on how to put each part correctly. So, I just followed the instruction sheets carefully and could finish its assembling without a problem. because the terminal interval is so narrow and it may cause short-circuit. by using a loupe, tester etc.,. 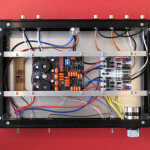 For the wiring, its color-coded wiring diagram helped me a lot. I just followed it to wire and finished without troubles. with my nearfield system in my workroom (the speaker is ELAC 301). listening to the sound seriously. 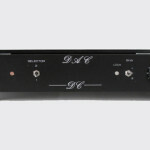 The Exclusive 2252 is driven by Bi-Amp. For the bass sound, I applied Kaneta type No.167. For the treble sound, I applied Mr. Fujiwara’s Precision Amplifier from “Easy Audio Kit Library”. when I connect DAC-MP1 output to the power amplifier directly, without preamplifier. So, preamplifier is not applied in my system. I select AV amplifier (Pioneer LX-85) system which speaker is also driven by Bi-Amp. And when I watch Opera, Ballet and movies, I add a projector to the AV system. Then, I had to make the switch box to switch 4 amplifiers (2 for Audio system, 2 for AV). And it took one whole day to finish it. After I wired all of the systems, I could not wait to listen to the sound. And the sound was truly “astounding”. 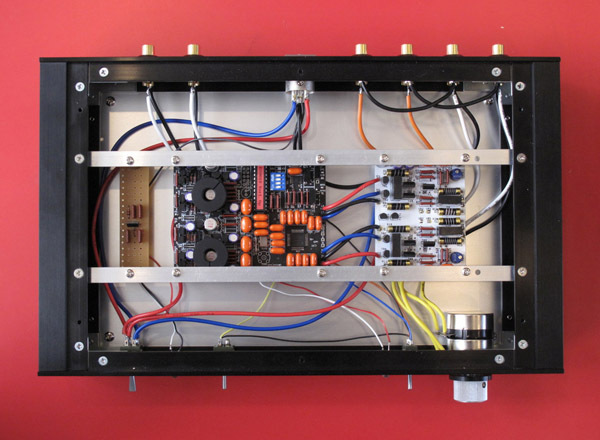 I have assembled so many amplifiers and learned the sound difference of each amplifier. But I have never experienced such a big difference I had experienced this time. I started to listen to the new system sound with my familiar CD. And it was like a bunch of new sounds surge into my ears. with my sub-audio system small speaker, became now audible. At the first moment, I realized the wonderful spread of the bass/treble sound range, energetic sound and sound density. Then, I noted that the whole sounds has a good density and has a lot of musical information I could not catch before. Because the time was weekend, my daughter happened to stay there by chance. And she said to me ” Sounds like new members join into the Orchestra”. I could not believe the CD is the same CD I have listened many times. I adjusted Super Tweeter’s level until about half level because the high-frequency has strongness and clarity. And it made the sound more better/appropriate one. jazz live music I could get as a bonus of Net Audio Magazine Vol.7 and many more. my impression was totally different. It sounds like jazz musicians are playing live music right in front of me. 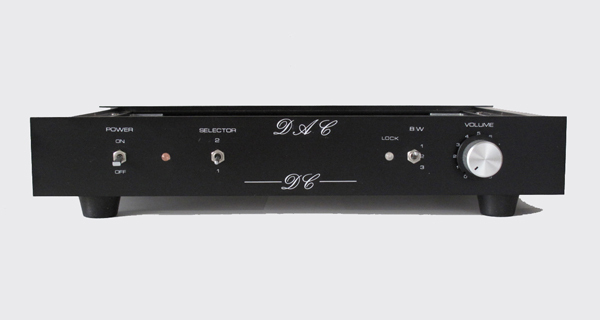 The DAC-MP1 has changed sounds to the extremely high density one. can use its potential fully. And I feel the DAC-MP1’s sound density and quality is truly something noteworthy. Since I am so happy with my new audio system, I wrote maybe too much here. But, I feel it is impossible to express all of the good points of the DAC-MP1 by words. meet DAC-MP1 kit and have a chance to experience the sound. current input power amplifier very much.